13 September 2011 – CASEing the Catalogue!!! Have you ever copied a card from somewhere else? I do this all the time as I often lack the inspiration to come up with an idea. Well, our catalogue is a great place to start!! After all, it’s an ideas’ book as well!! 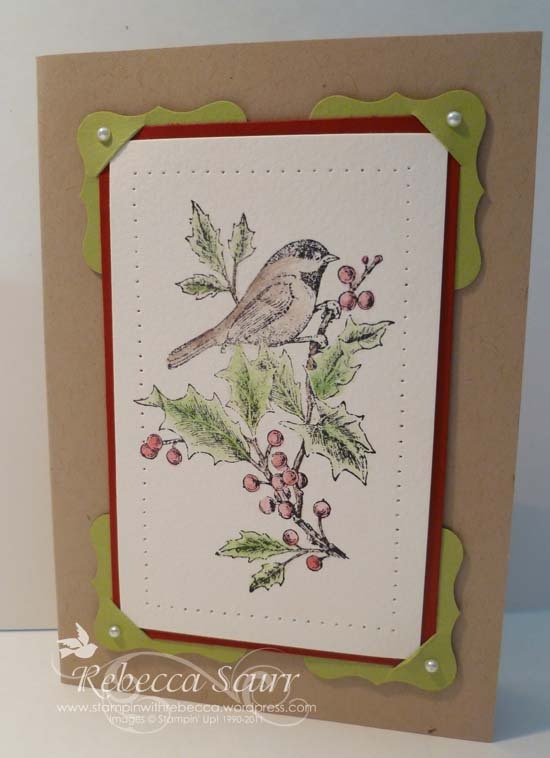 I wanted to showcase one of the new Christmas stamps, Beautiful Season, so I used the catalogue (page 22) and here it is!! This is a lovely set and I can’t wait to make more with it!! Accessories: Blender pens, Stampin’ Pastels, Curly label punch, pearls. 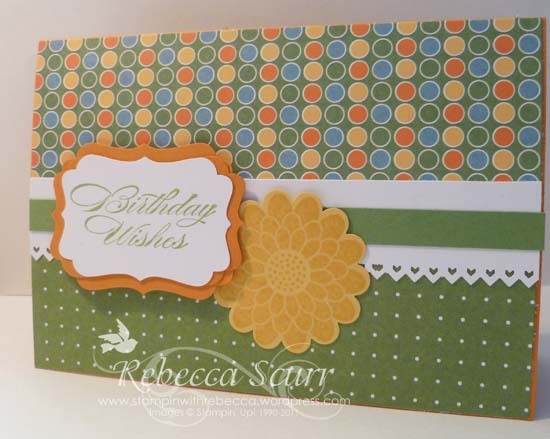 I also CASEd a card from one of the old Stampin’ Up! invitations for a workshop on the weekend. The hostess, (hi Colleen!! ), had requested a card from the invite but I didn’t have the stamp set or the papers, so I improvised!! I love the Decorative label punch, so I punched it out twice, cut it in half both ways and then used the pieces to make a layer behind the sentiment. « 9 September 2011 – Fabric!!!! !